There’s nothing spookier than entering a dark field of the unknown. 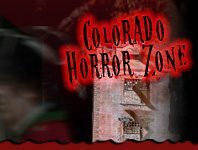 Hop on one of Colorado’s local Haunted Hay Rides for an adventure to remember! Your heart will pound harder and faster than it has ever beat before as you enter the mysterious dark field filled with horror. Get ready for the deep, dark surprises that may come at the next bump or turn of the corner on the hay ride!